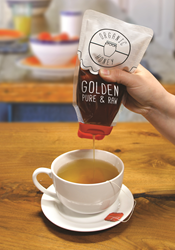 Glenroy Inc., a converter and printer of flexible packaging for over 50 years, has been selected as the exclusive pouch converter of the new premade STANDCAP Pouch. Glenroy leverages proprietary VOLPAK converting technology to deliver the STANDCAP Pouch as a turnkey, premade pouch solution, with low cost-of-entry and no capital expenditures required. PACK EXPO International 2018 attendees are invited to try this category-changing package at Glenroy’s “STANDCAP Squeeze Station” in Booth #S-4044. To learn more about this category-changing pouch, visit http://www.glenroy.com/standcap or call 800-824-1482. Since 1965, Glenroy Inc. has been a trusted converter and printer of flexible packaging. A privately-held company headquartered in suburban Milwaukee, Glenroy manufactures high-quality flexible packaging films and stand-up pouches for a variety of end uses, including personal care, pharmaceutical, nutritional, cosmetic, automotive and household products. For more information on Glenroy's flexible packaging solutions, visit http://www.glenroy.com or call (800) 824-1482. AptarGroup, Inc. is a leading global supplier of a broad range of innovative dispensing and sealing solutions for the beauty, personal care, home care, prescription drug, consumer health care, injectables, food and beverage markets. AptarGroup is headquartered in Crystal Lake, Illinois, with manufacturing facilities in North America, Europe, Asia and South America. For more information, visit http://www.aptar.com.